This heat loss calculator gives a guide to the approximate radiator size or wood burning stove output needed to keep a room warm on a cold day. It produces a breakdown and total of the surface and ventilation heat losses for a specific room in kWs (Kilowatts) and BTUs (British Thermal Units) so is hopefully one of the best btu calculators available. The pull down menus for materials assume u-values for a typical home built before 1990. From the 1990’s onwards Building Regulations insulation standards have been gradually tightened so in these cases it is better to manually enter u-values prevailing when the house was built. See Building Regulations And U-values: How have they changed? for greater detail. Scroll to the bottom of the page to find out more about using the calculator. Information About The Walls: Wall 1 and 3 use the room length dimension, wall 2 + 4 use the width. Is each an internal, external or party wall (a party wall is a dividing wall between two adjoining buildings)? Choose wall material or if known enter the u-value. Enter the window/door area in the wall if any in m². Information About The Windows & External Doors/Floor/Ceiling: What type of glazing material is used for the windows and external doors in the room? Choose a glazing type or alternatively enter the u-value if known. What is below the floor (another room or the ground)? What is above the ceiling (another room or the roof)? Choose a material type for each or alternatively enter the u-value if known. 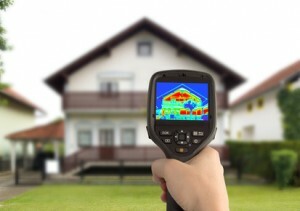 Note: this heat loss calculator is a guide only and you should consult your heating engineer to calculate a precise figure based on knowledge of the specific materials used for the walls, floors, ceiling, windows and doors as well as ventilation losses. This total heat loss is made up of the total of (A) surface heat loss and (B) ventilation heat loss with a 15% increase applied as a margin of error. The detailed calculations are below. Select the type of room and choose either metres of feet for dimensions. Enter room dimensions. Where the room is not a pure rectangle then just adjust dimensions to reflect the overall room area. Then enter information about the walls using the pull down menu or alternatively enter specific u-values if you know them. Identify Wall 1 and 3 as the longest length walls, Wall 2 and 4 as the shorter length walls. To identify particular walls assume wall 1 and wall 3 are the longer walls (length) and wall 2 and 4 are the shorter walls (width). Entering a u-value overrides the information in the specific pull down menu. 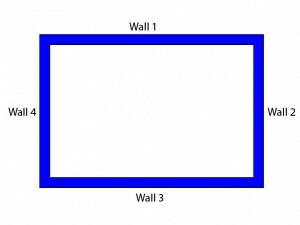 Enter the approximate window and door area in each of the four walls; if there are no windows/doors in a wall then just leave blank. For the windows, doors and ceiling select the material type in the same way. Then choose the ventilation adjustment. When entries are complete press the calculate button and the calculated heat loss and energy required in kWs and BTUs will appear below. Great website, one of the better btu calculators I have seen. Especially when you consider the range of insulation that is available to use in exterior walls and under floor. One question though. What temperature do you recommend using for the winter design temperature? We have tried to make this the best BTU calculator available for free use. On the winter design temperature we have chosen -1C but it will vary by area of the country. We do apply a 15% margin for error so even if it was a degree or two colder then you should still have a little more energy in hand.